My TV Show “Heartbreak Hotel” is out tonight in Ireland 9pm on TV3 for the first time! It’s gripping, warm and entertaining reality show where I work with 4 broken hearted people to transform their break-up recovery. Uplifting and moving for sure. 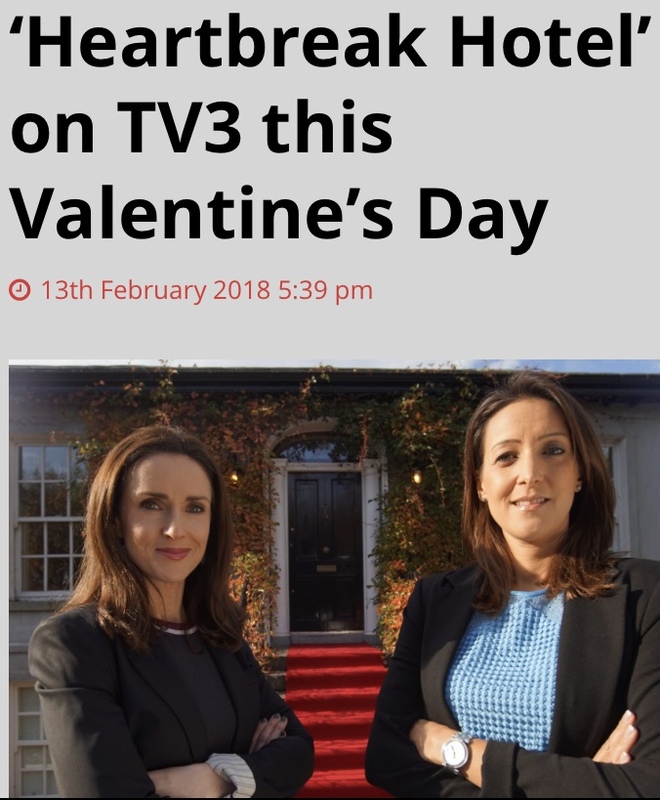 Hosted by the gorgeous Maia Dunphy who has just been on Dancing with the Stars (the Irish Strictly Come Dancing). It was lots of fun to film!